Estuaries have a natural depth that is maintained by passing water currents. When a berth is dredged, the current slows allowing muddy sediments to accumulate. 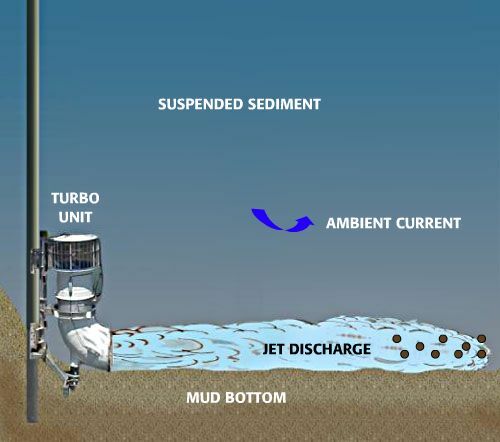 SedCon® Turbo Systems interrupt the shoaling process by boosting the speed of near-bottom water currents. This keeps sediment suspended and moving past the berth, not accumulating in it. The net effect is to restore the natural balance that existed in the river prior to the berth being dredged.